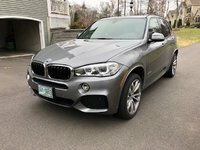 Looking for a Used X5 M in your area? CarGurus has 283 nationwide X5 M listings starting at $15,990. If you're looking for a smooth, spacious, and luxurious ride packing plenty of punch, BMW could have just the ticket for you in the form of its 2017 X5 M. Back for its seventh year, the X5 M has gained a reputation for itself in the growing market of luxury performance SUVs. 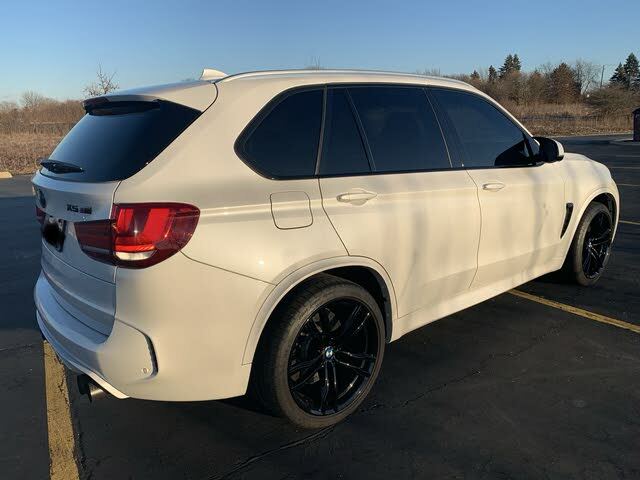 Designed for people who want all the fun of driving a performance car but don't want to give up any of the conveniences of an SUV, the X5 M tries to combine the best of both without making any compromises. The result is a luxurious, spacious SUV with some serious performance capabilities. The X5 M returns for 2017 with few changes and will again seat 5 while offering 35.8 cubic feet of cargo space (76.7 cubic feet with the rear seats folded). As has been the case since its introduction in 2010, the X5 M will be available in a single trim with all-wheel drive—giving drivers better traction for all the antics of which the SUV is capable. BMW will continue to give the X5 M some serious chops, putting a monstrous twin-turbocharged 4.4-liter 8-cylinder engine under the hood. The engine will be linked up to an 8-speed automatic transmission, through which it will send 567 hp and 553 lb-ft of torque to the wheels. That will be good for approximately 14 mpg city/19 highway/16 combined—not stellar fuel-economy numbers by any means. For X5 M buyers, however, fuel-economy numbers won't matter. What will matter is the fact that the X5 M should be able to hit 60 mph from 0 in just 3.8 seconds and will have a top speed of approximately 160 mph. To make things better, BMW will likely keep the X5 M around the $100,000 mark, making it extremely competitive price-wise when compared to rivals. The X5 M will not be all performance, either. When you're inside, it will be easy to forget there's a monster lurking under the hood, and you could think you're simply in a luxury SUV. The X5 M does this by including standard equipment like Merino leather seats, heated front seats, push-button start, 4-zone automatic climate control, rain-sensing windshield wipers, a power liftgate, front and rear park-distance control, ambience lighting, a universal garage door opener, a panoramic moonroof, a 16-speaker Harman Kardon sound system, SiriusXM satellite radio, navigation with a 10.2-inch color display, a backup camera, USB and Bluetooth connectivity, and BMW's iDrive infotainment system. If that isn't enough, BMW will also offer a wide range of optional equipment on the X5 M, including the Driver Assistance Package and the Executive Package. With the Driver Assistance Package, you can expect an active driving assistant, active blind-spot detection, a surround-view camera, and speed-limit information, while the Executive Package will include LED lights, a head-up display, a heated steering wheel, automatic high beams, heated rear seats, and ventilated front seats. Standalone options will include a Bang & Olufsen sound system, night vision, smartphone integration, parking assist, and a rear-seat entertainment system, which will add a pair of 9.2-inch color displays (which can be connected to MP3 players and video game consoles) for passengers in the rear. 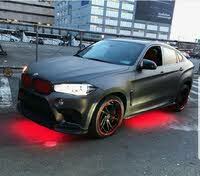 While the X5 M will indeed be powerful and luxurious, BMW will give it more than just brute strength and luxury. With an M-tuned all-wheel-drive system, M chassis and suspension, M-tuned electric power steering, and M Drive with M Dynamic Mode, Munich will ensure the car has precision and finesse. In addition to all the above, BMW will also pack safety equipment into the X5 M, adding dynamic stability control, hill-descent control, 4-wheel antilock brakes, front side-impact airbags, and automatic collision notification. While high-performance SUVs may not be everyone's cup of tea, those who want exceptional power and performance without compromising on utility should seriously consider the X5 M. One of the older entrants in the performance SUV game, the X5 M has been around for a fairly long time and has proven itself a capable and fun option for those who can afford to shell out $100,000 for it. What's your take on the 2017 BMW X5 M? Have you driven a 2017 BMW X5 M?